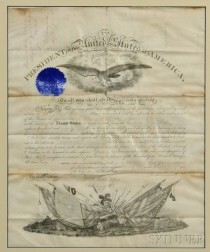 Save your search - find out immediately when "Countersign" is available at auction! 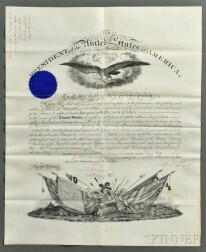 Grant, Ulysses (1822-1885) Document Signed, 8 December 1873. 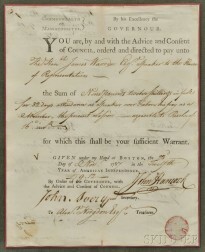 Jefferson, Thomas (1743-1826) Signed Military Commission, 27 April 1802. 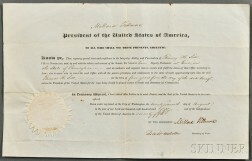 Lincoln, Abraham (1809-1865) Military Appointment Document Signed, 10 April 1864. 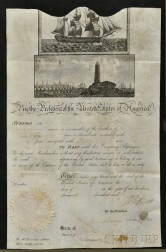 Taft, William Howard (1857-1930) Signed Military Commission, 13 May 1910. 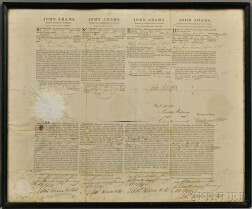 Taylor, Zachary (1784-1850) Document Signed, 17 April 1849. 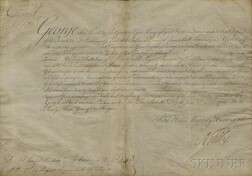 George III, King of England (1738-1820) Document Signed, St. James's Palace, 14 June 1783.